“With the launch of Blossa Trestjärnig Calvados the Trestjärnig series of Trestjärnig Cognac and Trestjärnig Rom is complete. 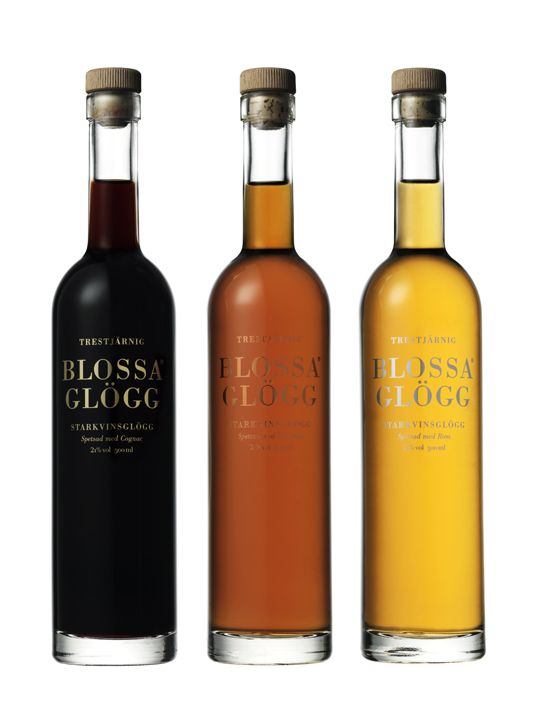 This premium series is the finest and highest alcohol content of all the Blossa Glögg products. Sometimes simple is simply right and powerful. Love the slim shape of the bottle. Right Typo, right figure, Bingo!